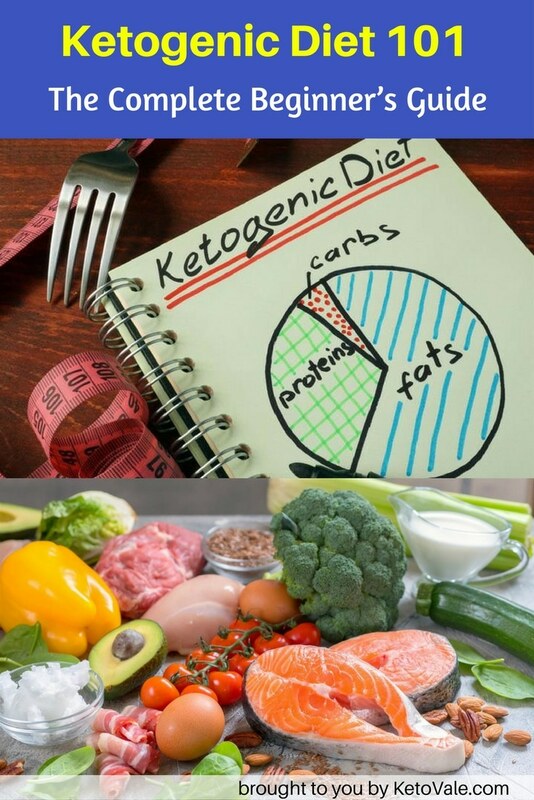 The ketogenic diet (also known as the keto diet) is a way of eating where you actively help your body burn the excess fat that it has already stored. In order to do that, the amount of carbohydrates that you consume per day is limited (to 20-25 g of net carbs/day), and fat and protein make up the rest of your caloric intake. When you limit the amount of carbs (i.e. sugar and starches) that you are consuming, you enter a state called “nutritional ketosis”: your body can no longer rely on carbohydrates for its energy needs and it now needs to start burning fat as its primary fuel source. As a result, blood glucose remains much more stable throughout the day, and many people report increased energy and lower appetite, which makes it easier to control the amount of food you’re eating. The ketogenic diet was primarily designed as a treatment for epilepsy and is nowadays most often used for weight loss (1). It has multiple benefits that go beyond weight control, such as improving blood sugar regulation and insulin sensitivity, lowering the risk of Type 2 Diabetes and of heart disease, and it possibly even protecting against cancer. Feel free to save this guide by pinning it to your Pinterest account or sharing it on your social media to read later. Within a few days after starting to follow a keto diet, your body will enter a metabolic state called “ketosis”. Ketosis is a completely natural and normal biochemical process that occurs in our bodies when fats are burned for fuel instead of glucose. This metabolic state only happens in the absence (or near absence) of carbohydrates in our diets. When you eat carbohydrates, these get broken down into glucose, which is used for fuel, and at the same time will raise your insulin. However, once you reduce your consumption of carbohydrates to less than 20-25 g of net carbs per day for most people, blood sugar levels and insulin remain much lower, and our hormones signal to the fat cells in our bodies to release fatty acids. These fatty acids will be burned for fuel. This state is called ketosis (2). As fatty acids are released, the liver converts them in to ketone bodies or ketones. This is the “magic” of ketosis. In fact, ketones are the by-product of a more effective fat burning process in our bodies than what we have been normally used to. Our ancestors were likely in ketosis for extended periods of time, especially during winter, when foods high in carbs (such as fruits) were scarce and meat was more readily available. Ketosis is NOT a side effect of uncontrolled diabetes and is very different from the state called “diabetic ketoacidosis”, which is a rare but life-threatening condition that diabetics should be aware of. Unless you’re diabetic and your illness isn’t properly managed, you aren’t at risk (3). The keto diet will NOT damage your kidneys either. Some people who have severely compromised kidney health will want to discuss this type of diet with their doctor before they start, though ketosis and increasing protein has not been shown to damage normal kidney health (4). Let’s now get into the details of achieving ketosis and staying in it. In order to do that, you’ll need to plan your meals, whereas you’ll be eating more of certain foods and limiting or avoiding others. Chances are, you already enjoy many foods that are recommended on a ketogenic diet. You might need to tweak a few of your favorite recipes, and you might have to make some substitutions at a restaurant, but it’s easy to pick the right foods with this way of eating. The energy in foods is either stored in the form of fat, protein or carbs. These are called macros (you can find more information on macros in the next section). In order to successfully follow a keto diet, you need to avoid foods that are high in carbs, and concentrate on the ones that are high in fat and/or protein. To make it easier for you, here is a summary of the foods you can concentrate on, the foods you can eat in moderation, and the foods that you should avoid. You can freely consume foods that have zero or almost zero carbs. Anything made out of flour and/or sugar is a no-no. You can, however, make a keto version of a lot of dishes that are normally high-carb by substituting some of the ingredients. For example instead of flour you can use coconut or almond flour, instead of sugar, you can use a sweetener such as stevia, and so on. Instead of feeling like you’re missing out on the food you cannot eat, focus on all the tasty and healthful options that you CAN have. All of the meats are on the table, to be prepared in virtually any way you like, with an endless variety of seasonings. Salmon, tuna, pork, beef, chicken, turkey, bison, and even snake or kangaroo are things you can choose. Eggs are a wonderful option, even for daily meals, since they have a well-rounded protein and fat profile. There are an endless variety of ways to cook eggs, so you’ll never get bored with them. Some dairy products can be used in moderation, such as heavy whipping cream and most cheeses. This would depend on your individual sensitivity to dairy (some people digest it better than others) and on the particular type of food. Milk contains a relatively high amount of carbs (4 to 5 g per 100 ml) and should be limited or avoided, as well as store-bought yogurt. You can, however, have unsweetened almond milk or heavy cream. Make sure to check the labels carefully when buying dairy products, as some of them contain a rather high amount of carbs. Some people also find that eliminating dairy helps them to lose weight faster, which might be something you want to consider in case you stall. There are so many vegetables that you can use, and so many ways to prepare them, that an entire book could be written on the topic. Most vegetables that grow above the ground are high in fiber, vitamins, minerals, and antioxidants. They can be added to meat dishes, cooked on their own, or eaten as a salad. Vegetables are inexpensive, easy to prepare, and can be part of every meal. Most of them are quite low in carbohydrates, so it’s hard to overindulge in this food group. Fats are great if you want to add flavor and texture to your meals, and will help you feel full. Some people believe swear by coconut oil, and whether or not the claimed health benefits are actually present, it’s one of the fats that you might want to add to your diet. Butter is an excellent choice, as is ghee (Indian clarified butter). Duck fat is highly prized. Avocado oil is a great choice when making dressings or sauces, as it’s liquid at room temperature and has a mild flavor. The fats and oils listed here are primarily saturated, and they are the least likely to go rancid and produce free radicals and inflammation in the body (5, 6). A good way to get started on planning keto meals is to include one part of protein, two parts of vegetables (of the ones that grow above the ground), and one part of fat. This will give you a good rough balance of nutrients without the overwhelming calculations and measurements. Keep in mind, however, that weighing and tracking the foods that you eat will definitely help you reach your goals faster, and you’ll have a much better overview of your daily macros. You can do that with the help of one of the many food tracking apps, such as My Fitness Pal, Fatsecret and more. The key to a successful ketogenic diet is to consume around 20 grams of net carbohydrates a day, and sufficient fat and protein to keep you full and maintain muscle mass, so keep that in mind when looking at serving sizes and amounts that you actually eat through the day. “Macros” stands for macronutrients. The three macronutrients that make up all foods are protein, carbohydrates, and fat, and each of them is broken down differently and used for different purposes by our bodies. When following a ketogenic diet, you would need to keep an eye on your daily macros, and especially on the amount of carbohydrates that you’re eating. There is a common phrase in the keto community, “Protein is a goal, fat is a lever, and carbs are a limit.” This is a good rule of thumb to stick to, and we’ll explain to you how to apply it. The body needs a certain amount of protein to maintain healthy tissues, and, in case you’re also working out, to increase muscle mass. Protein is the most sating of the three macronutrients, so when you eat enough of it, you’ll very likely enjoy lower hunger levels, along with reduced cravings. The accepted standard for the amount of protein you need to eat daily is 0.6 – 1.2 grams of protein per pound of lean body mass or 1.32 to 2.64 grams per kilo of lean body mass (not of your total body weight). Your lean body mass is your total body weight minus your fat. For example, if you currently weigh 180 lbs (81.65 kg) and your body fat is at 30%, your lean body mass is 126 lbs (57.16 kg). In order to obtain the amount of protein you need to eat daily, you need to multiply 126 per 0.6 to 1.2, and you’ll get a range of 76 to 151 g protein/day. 75.6 g would be the minimum amount you need in order to maintain your bodily functions and muscle mass. A standard that is commonly accepted in the keto community is 0.8 grams of protein per pound of lean body mass, which, in the above example, would mean 101 grams of protein daily. The actual amount of protein you decide to eat will depend on your goals and activity level (as well as on your results, once you are a couple of weeks or months into your keto journey). Going over 0.8 grams is recommended for people who do endurance training or weight-lifting, and would like to build muscle. That sounds complicated, but it comes down to 75-100 grams of protein per day for most people, and between 25-40 grams of protein per meal (depending on how many meals per day you’re eating). Meeting this goal will make weight loss and muscle gain (or maintenance) much easier. KetoVale’s Tip: Eating more protein than the above amounts might not get you any additional benefit. You should not need to consume more than the suggested range above (7, 8). Foods that are high in protein are meat, fish & seafood, eggs, some dairy products, and protein powders. If you decide to consume protein powders in order to meet your protein goal (remember, “protein is a goal”), please carefully check the label for the amount of carbs per serving and make sure that these fit in your daily macros. Most people that follow a ketogenic diet eat a variety of animal products. It is still possible to follow this diet in case you wish to consume less animal products, however, it would require some more careful planning. Keep in mind, however, that it is difficult to create a keto meal plan with no animal protein at all. Fats are the next most important macronutrient on the ketogenic diet. Fats are going to help you feel full for longer periods of time, will give you energy, and are essential for maintaining your hormonal balance. There’s a catch, though: it’s possible to eat too much fat, to the point that you don’t burn off the excess body fat as quickly. Even when following a ketogenic diet, you still need to burn more energy than you consume in order to lose weight, and eating more than what your body needs will be counterproductive for your progress. Fat is used to fill in the caloric gaps that you get from removing carbs from your diet after you take into account the amount of protein you need to consume. Fat is used to keep you full (remember, “fat is a lever”) but it is not a target on its own. Fats that are typically consumed on a ketogenic diet include avocados, coconut oil, butter, ghee, duck fat, avocado oil, olive oil, and limited quantities of nuts and cheese. Some people tend to overdo some of these foods, and it can stall weight loss. If you know you’ll eat too much cheese or peanut butter, it might be safer to just avoid them since there are so many other delicious foods you can eat, and which won’t trigger you to go overboard. In a ketogenic diet, carbohydrates are very limited. The limit that you need to stick to in order to be in ketosis is 20 to 25 grams of net carbs per day or less. There are two types of carbs: dietary fiber and net carbs (sugar or starches). Dietary fiber cannot be digested and passes through the gastrointestinal tract, and is therefore not taken into account when counting your daily carbs. Sugar and starches, however, need to be limited, and are what is commonly referred to as net carbs. Therefore, when calculating carbs, you need to subtract fiber from the total amount of carbs and you’ll get the amount of net carbs. It’s best to strictly avoid processed carbohydrates, and anything that might be considered a sugar bomb. Foods like pastas, rice, breads, potatoes, candies, pastries, juices, sodas, and most sweet or starchy foods should be avoided on a keto diet. These foods dramatically increase blood sugar and insulin released into the bloodstream. Carb-heavy foods shut down the fat burning process of ketosis and can even promote a greater fat storage in the body. There are some foods that contain carbohydrates, which you’ll still want to keep in your meal plan, as they will provide you with essential vitamins and minerals – above-ground vegetables. The bigger part of the carbohydrate content in most vegetables is fiber, which is indigestible to humans. Some great vegetables to eat are leafy greens, celery, cucumber, asparagus, mushrooms, tomatoes, bell peppers, zucchini, spaghetti squash, broccoli, and cauliflower. Potatoes and sweet potatoes should be avoided, and foods like carrots can be used in limited amounts. As far as fruits are concerned, most berries are low in carbs and can be consumed from time to time, and in limited amounts. These include raspberries, strawberries, and blackberries. Blueberries are a bit higher in carbs and should be eaten sparingly. Most other fruits, however, have too many carbs in just one serving, so it is best to avoid them. Why would you decide to limit carbohydrates? Aside from wanting to reach and maintain ketosis, eliminating or severely limiting carbohydrates has many benefits for most people, and especially for those who want to improve their health or lose weight. Carbohydrates break down quickly in the digestive system to provide the body with a fast and easy to use fuel, but – especially if too many of them are consumed – that creates a rollercoaster effect of our energy through the day and can lead to insulin resistance (9). Carbohydrates in excessive amounts cause cravings, moodiness, and fatigue, and often we just can’t stop thinking about food (10, 11). Some people like to start a ketogenic diet, or restart one, with a more restrictive plan. These aren’t for everyone, since most people adjust better to slow, gradual changes. If you’re the kind of person who likes to change everything all at once, you can try one of these short term hacks to get you kick-started in keto, and maybe even help you lose those first couple of pounds, or the last couple that just won’t seem to budge. You can also try one of these if you reach a stall or plateau in your weight loss, but you shouldn’t use these tactics for more than 3 days at a time, since they are pretty low calories and pretty low in micronutrients. This short-term hack originated in clinical settings to help obese patients shed excess fat quickly. It was described in Dr. Atkins’ New Diet Revolution for the same purpose. The diet consists of 1000 calories or less of almost entirely fat, with a little protein. This can be useful for people who have been on a ketogenic diet for at least three weeks, or who have had a weight plateau that has lasted at least three weeks. Since it’s so high in fat, you have to be keto-adapted for it to be effective, not just in ketosis. On this hack, participants are encouraged to eat eggs – and a lot of them. The theme with these hacks and other short term solutions is limiting calories to 1000 or less, and this is no exception. While fried, scrambled, and poached are perfect options for this hack, there are many creative recipes where people have created desserts, beverages, and bread substitutes with eggs. This hack is also known as a stall breaker, so if you’re stuck at a certain weight for three weeks or more, give the egg fast a try for a few days. Exogenous ketones, or ketones that are produced in a lab and then consumed, have been compared to jet fuel, both as a fuel for the brain and body, and as a flavor comparison. It’s like kick-starting ketosis, or enhancing it, since you wind up with vastly more ketone bodies in circulation with a concurrent drop in blood glucose. The best, most effective, and safest version of exogenous ketones currently available are ketone salts. They can potentially get you into ketosis faster, and help you reap the benefits of a low carb diet, but they’re still relatively new to the market (12). KetoVale‘s Tip: Exogenous ketones are NOT a magic pill or a carb blocker. You should be making better choices about your diet meal plan first and then ask yourself if you want to or how you can supplement afterward to help out. Remember it’s a supplement and not supposed to be used as an eraser to erase eating choices (by definition, supplement is a thing added to something else in order to complete or enhance it). It’s like building muscles, you can take supplements, but if you don’t workout and eat right, the muscles won’t show up. The supplements aren’t going to lift those heavy weights for you. There’s no magic bullet. Some people feel like being in ketosis gives them superpowers. Does it? There aren’t any peer-reviewed studies on that yet, but there are a lot of actual studies on how a keto diet can improve your health. It’s not magic, it’s science! Weight loss is the most common reason why people choose to go on a ketogenic diet nowadays. Studies showed that a very low-carb diet is more effective than a low-fat diet for weight loss (13). 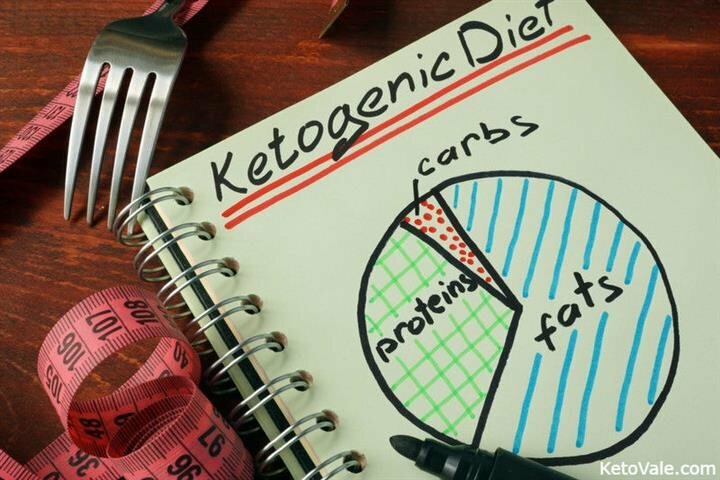 A long-term ketogenic diet can help you lose body fat and maintain a healthy weight. It can also help decrease blood glucose and LDL cholesterol (the “bad cholesterol”) levels, and increase HDL cholesterol (the “good cholesterol”) levels (14). Due to the high consumption of healthy fats, following a ketogenic diet significantly helps most people control their hunger. It is generally much easier to eat less calories on a keto diet than it is on a low-fat, medium-carb nonketogenic diets (15, 16). We’ve personally seen many successful weight loss stories in our keto community and we can confidently say that this diet is possibly one of the best diets for weight loss, especially considering how quickly you can lose weight in the first few weeks after following the diet plan. 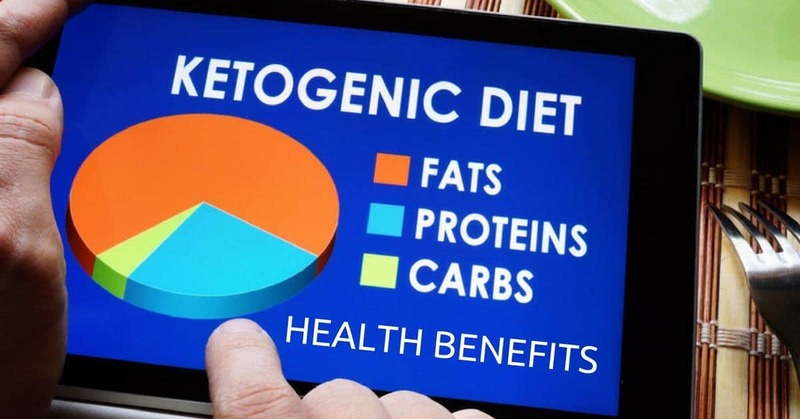 A ketogenic diet is so helpful in restoring normal blood sugar patterns that many diabetics have experienced a reversal of their condition (17). While that’s on the more extreme end of the spectrum, the blood sugar controlling effect can help anyone who chooses this way of eating. Since it’s the carbohydrates in our food that are responsible for the biggest blood sugar fluctuations and the dramatic blood sugar deregulation that comes with Type 2 Diabetes, eliminating these foods naturally leads to a better blood sugar balance (18). On a higher carbohydrate diet, the fluctuations in blood sugar can cause surges of mental activity, followed by times when it feels like your brain isn’t even on. Mental fogginess is common in higher carb diets, and ketosis offers a noticeable improvement. You’re likely to notice better concentration, faster thinking and improved problem-solving abilities, as well as improved memory. This is especially important as we age since some researchers have linked cognitive decline with blood sugar fluctuations (19, 20). “Heart-healthy whole grains” aren’t what they’re thought to be. 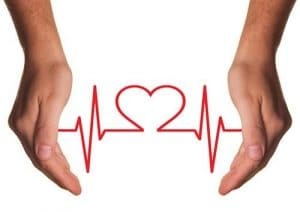 Studies have shown that on a ketogenic diet (which generally excludes all grains) patients have lower cholesterol and triglyceride levels, leading to an improved cardiovascular health. There is strong evidence to indicate that blood sugar fluctuations (and the inflammation that goes along with them), contribute to the prevalence of heart disease today (21, 22) and low-carb diets are generally found to have a better impact on cardiovascular health than low-fat diets (23). One of the most exciting areas of study regarding the ketogenic diet is cancer therapy. Cancer claims millions of lives each year, and a ketogenic way of eating has been shown in studies to increase survival rates and improve health in some cancers. There are several ways in which both glucose and fructose fuel cancer growth, while ketones inhibit cancer proliferation and protect the integrity of healthy cells (24, 25). The growth and survival of cancer cells are largely dependent on glucose, whereas normal cells can use both glucose and ketone bodies for energy. This means that a ketogenic diet can help starve cancer cells due to its anticancer effects (26). The keto diet is currently being used as a safe and effective addition to the treatment of several types of cancer and can help slow tumor growth. As an example, we’d like to point to a promising study showed the intracerebral growth of the CT-2A & U87-MG tumors (related to malignant brain cancer) is significantly decreased by about 65% and 35% (27). It’s common for both men and women on the keto diet to have an overall better hormone balance. Women who have PCOS (Polycystic Ovary Syndrome), often see an improvement with this diet and there are studies that show that glucose can decrease the testosterone levels in men. Reducing or limiting carbs intake can, therefore, be beneficial for men as well (28, 29). Moreover, fat is very important in maintaining a good hormonal balance, and a well-formulated ketogenic diet will necessarily be high in fat. Even highly trained athletes who are already very lean have thousands of calories available for use, stored in their fat cells. Most of us have even more fuel that’s available and waiting to be used. Ketones produced from fat oxidation can fuel us during the most intense weight-lifting sessions, endurance races, or hours-long play date at the park with the kids, and do so much better than glucose (30). Lots of people suffer from digestive issues and there are a lot of things in a carb-filled diet that can cause or worsen these problems. Eliminating carbs can make a world of difference. Sugars can feed the types of gut bacteria that you don’t want to carry around, while fats feed the good ones. 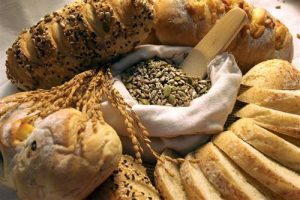 Many starches can cause bloating and constipation and an increasing number of people are noticing an improvement in health with the elimination of grains (31). Some other studies have also found that a keto diet could have a positive impact in the treatment of acne (32). In short, this diet has many health benefits, but research is far from conclusive. It is, however, very exciting to see that there is a growing public and scientific interest in low-carb diets, which leads to an increased number of studies. We also receive many inspiring success stories of people who have transformed their health, body and life by following the keto diet. You might want to check these Ketogenic Diet Success Stories. Step 1: Follow our keto macros calculator to find out how much carbs, fat, protein and calories you need to eat to successfully achieve your goal. Step 2: Read our macros, what to eat and food list section to know what types of foods to eat or avoid on keto. Step 3: Check the meal plans and recipes on this website to know how to prepare your keto meals. For ongoing tips to succeed with this way of eating, use Google and Pinterest to find low carb recipes of the foods you want to eat. There is a keto alternative to almost everything! Join Facebook groups for help and support. You can follow us on social media for daily tips and recipes. Just search Keto Vale (@KetoVale) to find us. There are a lot of great resources about the keto diet online, including our beginner’s guide. Since this diet has become very popular in recent years, unfortunately some books and programs of low quality have also appeared (and some of them even contain incorrect and misleading information that you should avoid). The following books and programs below are recommended by hundreds of members of our community and have helped many beginners achieve amazing results with the keto diet. These books are written by keto experts who can help you succeed in a way that is quick, healthy and sustainable. Q. I’m So Overwhelmed By The Information, How Do I Get Started? The best place to get started if you’re interested in the ketogenic diet is to first take a look at the fats you can incorporate, such as avocado, olive oil, or cacao butter. You could also take a look at more of an animal-based fat like grass-fed tallow or pasteurized lard or, if you are not too sensitive to butter, grass-fed butter is a really good option. Another third tip is snacking. Really important if you’re a snacker and you are just starting your Ketogenic diet you’ll probably need some form of snacks. Some of the best snacks for beginners include celery, nuts and nut-based hummus, cucumber. If you have more of a sweet-tooth, dark unsweetened chocolate is a great option, as is coconut or almond butter or even peanut butter. If you’re totally confused and still not sure how to fully include a keto diet into your lifestyle, follow a 30-day plan in order to better guide you on the initial stages of your new diet. Check Our Keto Begining and 30-Day Plan here! Q. Do You Have Meal Plans That Beginners Can Follow? I Don’t Have Time and I’m Horrible At Meal Planning Or Figuring Out The Right Foods To Eat! There are several meals plans available online and even services that offer personalized plans for YOU. At the end of the day, there are so many resources available online so, if you need help, you will surely find it! You can also check this Balanced Keto Weekly Meal Plans here! Q. Is Ketosis Safe For Your Body? How Long Should A Person Follow A Keto Diet For? Ketosis is safe as it simply enhances fat-burning processes that are completely normal in our body. There is no time-limit for a person to follow a keto diet for, although a lot of people do like to follow this diet cyclically, meaning, increasing the amount of carbohydrates while on vacation. Q. Does The High-Fat Part Of Keto Clog Your Arteries? Basically, fat within your blood travels as lipoproteins, along with cholesterol, proteins, and phospholipids. In order for an artery to be “clogged”, there needs to be a small tear in its inner wall first. These tears can be due to stress, smoking, a highly-processed diet, etc. In order for the walls to be repaired and thus prevent “clogging”, Vitamin E must be used. Vitamin E, being a fat-soluble vitamin, requires fat in order to be available for your body to use. Therefore, the consumption of fat can help your arteries self-heal and thus prevent “clogging”. Q. How Long Does It Take To Get Into Ketosis? It takes roughly 24 hour hours after your last ingestion of carbohydrates to begin producing ketone bodies, since that’s about how long it takes to burn through the majority of your ingested carbohydrates and glycogen stores. If you have been eating a diet based on carbohydrates for many years, it may take up to 48 hours or more to get into ketosis after completely abstaining from carbs. Q. What’s The Difference Between Being In Ketosis, And Being Keto-adapted (Or Fat Adapted)? Ketosis begins basically as soon as you’re depleted of glycogen stores, and are using ketones as your primary fuel. It’s a fairly simple biological process, it’s automatic, and it’s fast. But all of our tissues don’t adapt that quickly. The switching of fuel sources can be a little bit jarring for our muscles and our brain, and while they use fats and ketones for fuel, they aren’t yet efficient at it. This lag can also contribute to the lethargy and brain fog that some people get in the keto-flu. This is an adaptation period, where we’re essentially re-training our muscles and our brain to use fat as the primary fuel source instead of glucose. This adaptation can take a couple of weeks to a couple of months. As a hallmark of being keto-adapted and not just in ketosis, the skeletal muscles are able to burn fat directly for fuel, and the brain relies on the higher volume of ketones in the blood as its main source of energy. The transition is rougher for some people than others, though it’s worth it to KCKO, or Keep Calm and Keto On. Once you’re keto-adapted, weight loss becomes easier, your body feels like it moves more smoothly, your energy levels and appetite are easily regulated, and your thoughts are clear and fast. Performance in the gym also begins to improve at this stage, since it sometimes suffers during the adaptation period. Q. How Can I Tell If I’m In Ketosis? The best, easiest, and cheapest way to know you are in ketosis is to track your food and eat less than 20 grams of carbohydrates per day. Since it’s possible to have some wiggle room in your daily carb allowance based on your personal biology, activity level, etc, there are ways you can measure your level of ketosis. You can use the Ketone Test Strips to test your ketone level. These are strips that use urine to measure excreted ketones. These are inexpensive and popular, but unfortunately highly inaccurate. They only measure the level of ketones that are excreted as waste, and not used by the body. They show that you’re producing ketones, but not necessarily using them for energy. The two ways that are more reliable, but more expensive, are breath tests and blood tests. These tests can tell you if your body is producing AND using ketones for energy, as well as the levels of ketones that you have in your body for use. Q. Is It Normal To Feel Nauseous And Not Have Much Of An Appetite Towards The End Of The First Week Of Being On Keto? Totally normal. And it all relates to the previously mentioned gallbladder and all the adjustments the body must make while being on Keto. Another cause is “going too hard on the fat, too quickly”. If you are feeling like this, the use of apple cider vinegar can tremendously help alleviate the symptoms described. Q. What is Keto Flu and How To Deal With It? The Keto Flu are the basic symptoms such as upset stomach, fatigue, headaches, nausea etc.. that some people (not everyone) will experience in the first few days of Keto Diet. It’s the sign that the body is adapting to burning ketones instead of glucose. Q. What Can I Expect In The First Week Or Two After Beginning A Ketogenic Diet? Within the first 3 to 5 days of strictly avoiding carbohydrates (and not dramatically overeating on keto-approved foods) you’ll notice a larger volume of water loss, especially first thing in the morning. Glycogen is stored alongside water in the body, so as the glycogen gets burned, the water is released. You’ll get a few good whooshes of weight loss this way. While yes, it is “just” water weight, it’s still excess weight that you don’t need to be carrying around. You still get to count it as weight lost, and you might even notice that you feel less bloated and even a little slimmer. Following this, weight loss will be a series of plateaus and drops. It’s rarely steady, though it can be. Trust the process. Two pounds per week is considered the most you should shoot for, and even half a pound per week is a success. Sometimes the scale might even go up, but if you’re consistent, it will go back down, and even further next time. Electrolytes are a big deal on the keto diet, since the lost water carries with it some of our stored minerals. When we have a mild loss of electrolytes, we can be grumpy, tired, lethargic, headachy, and even have body pains. Many people also experience cramping, notably in the feet and legs. Because of this, you’ll want to consume extra electrolytes any time you are on a ketogenic plan. People who suffer with these symptoms refer to them as the Keto-Flu, and while it isn’t like the real flu, the symptoms can knock you down until you get your electrolytes back in balance. The electrolyte minerals are sodium, potassium, magnesium, and calcium, and you need all four. Sports drinks are full of sugars, and only have low amounts of these minerals, so it’s best to avoid them. Instead, focus on vegetables that contain high amounts of these minerals, and make sure to salt your food to taste. You can also make an electrolyte drink that contains all of these minerals. Lite Salt or No Salt is available in the grocery store as a salt substitute, and contains potassium. Magnesium and calcium powders are available in health food stores and online. Some people also experience a change in bathroom habits. Moving your bowels can be difficult with a dramatic change in diet, and can be helped by choosing specific foods over others. Cheese is well known to stop up the works, so reducing cheese can help. Making sure to include plenty of fibrous vegetables can also keep things moving, so make sure to get lots of leafy greens, celery, and other veggies. In addition, make sure to drink enough water. Water not only keeps you hydrated, but also helps keep the bowels moving. Q. Why Is Weight Loss So Varied And Unpredictable? Many books could be written on this very subject, and undoubtedly they have been. There are many answers, and they all depend on context. Lots of variables impact how well, and how consistently we lose weight. How much sleep do we get each night, and how restful is that sleep? What micronutrients are we not getting enough of? How much water are we drinking? How much are we exercising? This is one reason why tracking your food intake should be a priority. There are apps like Cronometer, MyFitnessPal, and LoseIt! that allow you to record all your foods for the day, and each has a large database of fresh foods, packaged foods, and restaurant meals, plus you can enter in your own recipes. This way you can know exactly what macro- and micro-nutrients you’re getting, with no guess work. This also enables you to see what you were eating prior to a woosh of weight loss, or a stall, or even a gain. You can see possible triggers for these events, like having extra vegetables, or having too many nuts and cheeses. It also lets you see if you may have sensitivities. If you try a week without dairy but keep your calories the same, for example, you may or may not notice a spontaneous drop in weight. Q. What Is The Best Ways To Bust A Plateau? Once you have been on Keto for a while, you may notice you suddenly stop losing weight, also known as the plateau. The first tip to get back to losing weight is to boost the amount of calories you are consuming. Say you’re eating 1200 calories per day. Overtime, your body down-regulates so it just needs about 1000 calories per day to maintain basal function. Therefore, the amount of calories that used to help you lose weight is now only helping you maintain your current weight. So, by boosting your calories, you are actually boosting your metabolism and you may even notice some weight loss in the days after your caloric increase. The second tip is to “carb-up”, meaning to eat high fat, low carb all day, and at night basically eat all carbs, no fat. Carbs like sweet potatoes, plantains, and grains, are some of the prefered foods when practicing “carb-up”. The reason why the “carb-up” practice can be helpful is because, once you are fat-adapted, your body burns carbohydrates first, and then goes into the fat-burning mode but, once you increase the amount of carbs eaten, your body’s ability to better burn fat is increased. To sum up “carb-up”: helps you go from fat-adapted back to the fat-burning mode. The third tip is revising your macros: protein, carbs, and fat. Perhaps your current ratio is just not working for you anymore and small change can sometimes lead to a huge difference. The fourth tip is to try a 24-hour fast. The goal of this practice is to rewire your metabolism and thus help you escape the dreaded plateau phase. Q. What Is A Good Way To Add Fat Without Going Over The Protein? Oils are a great way to increase your fat consumption without increasing your protein intake. Q. What Will Happen If You Don’t Eat Enough Fat? You will probably not feel fully satisfied after each meal, and therefore be hungry. If you feel hungrier throughout the day, increasing the amount of fat consumed per day can be extremely helpful. Q. What Other Healthy Fats Can I Eat If I Am Allergic To Coconut Oil? If you are allergic to coconut oil, you may try to add to your diet: lard, tallow, avocado oil, olive oil, butter, etc… You can basically have any of the other fats traditionally used in a keto diet. Q. Do I Still Have To Count Calories? Keto is awesome, but it isn’t magic. This way of eating helps us to bend the rules of how much we feel like we’re eating, so we can feel fuller for longer, but we still have to eat less than we burn if we want to lose weight. In most cases, a 20% calorie deficit is the right balance between managing hunger and being able to lose excess body fat. There are several online calculators you can use so you don’t have to do the math yourself. If you eat 80% of the calories allotted, you’ll be at a 20% deficit, which will allow you to burn more of your own body fat. Q. Okay, If I Can Stay Under 20g Carbs Per Day, Is It Still Really Important To Count Calories And Fat? Not necessarily. It ultimately depends on you. SOme people may thrive by regularly counting calories, while others see counting calories as something “boring”. The key here, if you do not want to count calories, is to structure your plate in order to guarantee you are consuming enough fat. Just make sure that in every meal you are eating no more than a palm-full of protein, try to increase the amount of fat in your diet, and try to decrease the amount of carbohydrates. Q. How Many Meals Should I Eat In A Day? Although when you first start your keto diet, you can eat whenever you feel hungry, most people decrease the number of eaten meals in a day to 2 meals. Q. Do I Need To Weigh My Food In Order To Be Successful With Keto Diet? Some people like to weigh their food when they first transition from a normal diet to a ketogenic diet, in order to have a fuller understanding of the amount of carbohydrates that they consume, although this can be used just in the beginning as a guide. But ultimately no, you do not have to weigh your food in order to be successful with a keto diet. Q. Can You Drink Alcohol On The Ketogenic Diet? Yes, you can drink alcohol on keto, but there are a couple of catches. The first thing to watch out for is, obviously, the carbohydrates in your drink of choice. If you’re choosing clear liquor, it tends to have a low amount of carbs, but it still has some. Your mixers also may have carbs in them, so choosing something like tonic water over a soda will keep you within your limits. Beer, cider, wine, and other bottled alcoholic drinks tend to be high in sugars, so you might just want to avoid them. Most alcoholic beverages don’t list the ingredients or nutritional information on the label, so be prepared and check your favorite drinks online so you know your limits beforehand. Most apps and trackers list many types of alcohol in their database, and this is the easiest way to be sure of what you’re drinking. Be warned, when you’re in ketosis your alcohol tolerance will go down, so you might not want to drink as much as you might be used to. Alcohol also tends to interrupt ketosis, since your liver will burn it preferentially before anything else. Your body treats alcohol like a toxin and like a fuel source, so your body will use it before it uses foods or the calories stored in your fat cells. While it won’t necessarily “knock you out” of ketosis, it does pause it until the alcohol is cleared from your system. Q. How Impactful Is Drinking Low Carb Liquor If You’re Trying To Lose Weight? Basically, when you have alcohol in your body, the first thing that will be burnt is the alcohol. Only then, can your body begin to burn carbohydrates, and ultimately move on to fat-burning mode. By consuming small amounts of alcohol, the alcohol will be burnt quite fast and then move on to burning carbohydrates. The biggest tip here is to only include alcohol in your diet once your body is fully adapted to a high-fat diet. Q. What Are Your Thoughts On Intermittent Fasting Combined With Keto Way of Eating (WOE)? Intermittent Fasting (IF) can be great as long as it’s not a forced fast! Fasting and Keto are a great amalgamation and from the moment you start your keto diet, you will notice you are less hungry throughout the day and more likely to fast. Q. Is Keto Related To Intermittent Fasting? Intermittent Fasting (IF) is something many people do to control appetite and calorie intake, and it’s common in the keto world. It’s more common for men to find success with intermittent fasting, or IF, than for women, but it’s an extra tool you can try to see if it works for you. IF is choosing a smaller window of time during the day to consume your daily allowance of calories, and using the rest of the time to fast, or not eat anything. During the fasting period, you can still have beverages, provided they contain no calories. Most people choose a 6 or 8 hour window to eat in, and usually do this by skipping breakfast to only have lunch and dinner. One of the secrets of getting into ketosis faster is by fasting, since this helps burn off stored glycogen, so trying intermittent fasting can help you on your way. While it isn’t necessary to be on a ketogenic diet, doing IF while on a ketogenic diet can be very helpful. Most people who do IF don’t even think about food until late in the morning because it becomes natural to wait until later to eat. There are two major ways fasting is beneficial for overall health. First, it gives the body a break from digestion. Digestion is a surprisingly stressful activity, and if there is a longer period of time where your body can focus on simply using the nutrients it’s been given already without having to handle more, digestion tends to improve, as well as energy levels. The second way is called autophagy, and it goes hand in hand with letting your body rest from digestion. Autophagy is the process that cells use to remove waste, including malfunctioning parts of cells, or even whole cells that are not functioning correctly and can’t be healed. If you have read much about cancer, this may sound like it’s connected, and it is. Regularly allowing cells to be in a state of autophagy makes them more efficient and keeps them from growing into a malignant state. It also helps them to live longer, which translates to a longer, healthier life for you. If you’d like to try intermittent fasting, it’s best to start by gradually decreasing your feeding window. Start with not eating for a 12 hour stretch, including the time that you’re sleeping. For example, you could stop eating at 8 in the evening, then have breakfast at 8 in the morning. Ultimately, you’ll want to be mostly done with digestion by the time you go to bed, and not be hungry until late morning, so for most people a feeding window of 10am to 6pm would be a good goal. Some people feel best with breakfast and lunch, but no dinner, so if skipping breakfast doesn’t make you feel great, you can try skipping dinner instead. Remember that IF isn’t for everyone, so if you find yourself feeling worse instead of energized and clear headed, put this tactic to the side, since it isn’t a necessary part of a keto diet. Q. What Is The Difference Between Ketogenic Diet And Regular Low Carb Diet? So the magic behind a ketogenic diet is eating enough fat in order to switch into fat-burning mode. Q. How Does A Keto Diet Compare To Atkins, LCHF, Low Carb, Paleo, Etc? The hallmark of a ketogenic diet is being in ketosis for extended periods of time, and is achieved by carbohydrate restriction. While there isn’t a strict prohibition of artificial sweeteners, grains, and manufactured foods, there is a strong preference in the community to lean towards natural, whole foods. Keto is for overall health, and weight loss is a welcome side effect for many people. The Atkins diet, on the other hand, is solely focused on weight loss. There is no restriction on artificial sweeteners or manufactured foods, as long as the foods consumed fit the Atkins prescribed ratios. There are four phases to the Atkins diet. The first phase is the most strict, designed to get you into ketosis. The second phase is a tolerance testing phase, where you add more foods to see how many grams of carbohydrate you can still eat and lose weight. The third phase is more generous with carbs, and the fourth phase is the most generous, and it’s in either the third or fourth phase that most people find a good maintenance level. LCHF is a plan that is very similar to an Atkins approach, but the focus is placed on the higher ingestion of fats, and a perpetual restriction of carbohydrates to less than 20 grams per day, and in some cases nearly 0 grams a day are consumed. There is no specific restriction of artificial or manufactured foods, only that the fat is kept higher, around 70%-85% of the diet. Some people just cut out the bulk of carbohydrates from major sources like breads, pastas, and sodas, and these people are on a Low Carbohydrate plan. There isn’t anything particularly strict about it, it’s more about being mindful of overall carb intake, often without tracking. This can be a good place to test the waters of a keto diet, though many people on this kind of plan never get into ketosis without further restriction. Paleo and keto can overlap, though there are some major differences in the core of each way of eating. The Paleo diet focuses on whole, natural foods that would have been available as food to our paleolithic ancestors. If it could have been hunted or foraged, then it would have been eaten. Some people on a Paleo plan also focus on what would have been growing in season, and in a certain region of the world for their genetic ancestors. Carbs are overall allowed in a Paleo plan, but they would come from whole foods like potatoes, sweet potatoes, fruits, honey, and other unprocessed sources. Q. Can Vegetarians And Vegans Have A Ketogenic Diet? In theory, you can be a vegan or vegetarian AND be on a ketogenic diet, but it’s a pretty big challenge. Often, those who focus primarily on plant foods are eating a larger amount of carbohydrates, either from breads, pastas, potatoes, and other starches, or from fruits, smoothies, and other sweet foods. It’s possible to rely heavily on vegetables and vegan foods that have very low levels of carbohydrates, though there would have to be a heavy focus on additional fats like coconut oil and various nuts. The biggest challenge with vegan and vegetarian diets is getting enough protein. These diets are traditionally lower in protein anyway, since they exclude the concentrated proteins in animal flesh. These individuals may want to include plant-based protein powders and shakes. Be wary of the ingredients, since these powders may contain various sugars that aren’t compatible with a ketogenic diet. Bottom line: Although it is possible, you must be aware of the difficulty of meeting daily nutritional requirements as a ketogenic vegetarian. There are still plenty plant-based fats, so don’t feel scared you won’t find some delicious and nutritious vegetarian fat sources. Q. How Does Eating A More Plant-Based Nutrition Plan Affect The 20g Of Carbs Limit? Can You Still Stay In Ketosis If You Have Higher Carbs? It truly depends from person to person. While some may be able to stay in ketosis while consuming 80 grams of carbs, others may not be so lucky. Quite a lot of people within the population can go quite high in their carbohydrate consumption and stay in ketosis, granted they have no blood sugar dysregulation. The longer you have followed the keto diet, the more your metabolism remains in ketosis after a higher carb consumption. Q. What Are Fat Bombs? You’ve probably seen many fat bombs recipes around the web and in the Keto groups and wondered what they are. Fat bombs are designed to increase healthy fat intake to meet your daily macros target. They are delicious high-fat, low-carb snacks. You can make a good amount of them and store in the fridge for later use. Q. Are Sugar Alcohols Bad For You? No. Although sugar alcohols are not bad for you, be aware that there are several keto-friendly sweeteners in the market that are filled with harmful substances. When in doubt, a brief google search is enough to know if the product is or isn’t bad for you. Q. I Love Eating Fruits, What Can I Replace My Fruits With? Long story short: replace your fruit with more fat. On the other hand, if fruit is irreplaceable, there are also some keto-friendly fruits, such as berries, some fruits which may be eaten in moderation, such as apples and pears, and then the high carb, high-fat fruits such as bananas and pineapples and cherries, which should be avoided. Q. How Often Can You Have Berries? Berries are quite a good solution when you are craving sweets. Once you have followed a keto diet for a long time, you will notice you won’t crave sweets that often. Ultimately, you can eat berries whenever you want, you are just not very likely to crave them after a long time following a keto diet. Q. Who Is Keto Good For? Some concerns did arise regarding the possible malfunction of an already diseased gallbladder while on a keto diet, so definitely ask your doctor for a check-up and see if this vital organ is working normally. Q. Is The Ketogenic Diet Okay For Type 1 Diabetics? Definitely visit your doctor beforehand, in order to make sure there won’t be any negative implications to your health. We cannot give you any medical advice because we don’t know your health history, your personal situation, etc… so it’s best to talk to your doctor first before trying any diet. Q. Are Exogenous Ketones Really Necessary? Or Is It Better To Allow Your Body To Convert Ketones On Its Own? Basically, the role of exogenous ketones is to boost the amount of ketones in your body. These products do work wonders if, after a long time on a keto diet, you don’t feel energized or generally don’t feel like you are at your best. Ultimately deciding to take exogenous ketones or not comes down to how you feel on your keto diet and trying to find a product with the highest possible quality. Q. I Want To Try Exogenous Ketones, Which One Would You Recommend? Many exogenous ketones companies use a Multi-Level Marketing (MLM) structure which means you have to be referred by someone and use their “Referrer Code” before checking out. 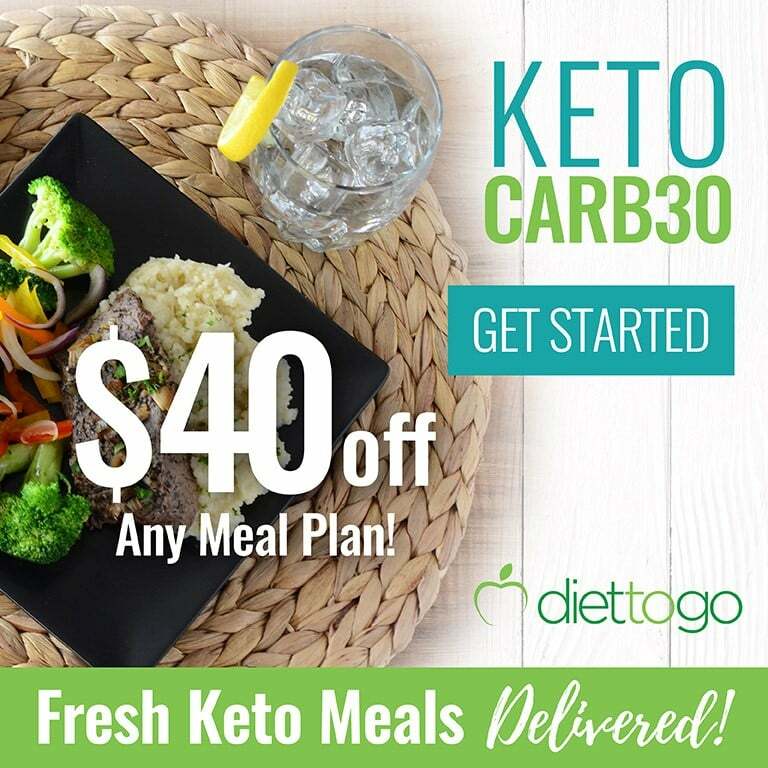 With Perfect Keto, you simply make your purchase on Amazon or on their online store. There is No MLM or membership requirement. Is a ketogenic diet right for you? 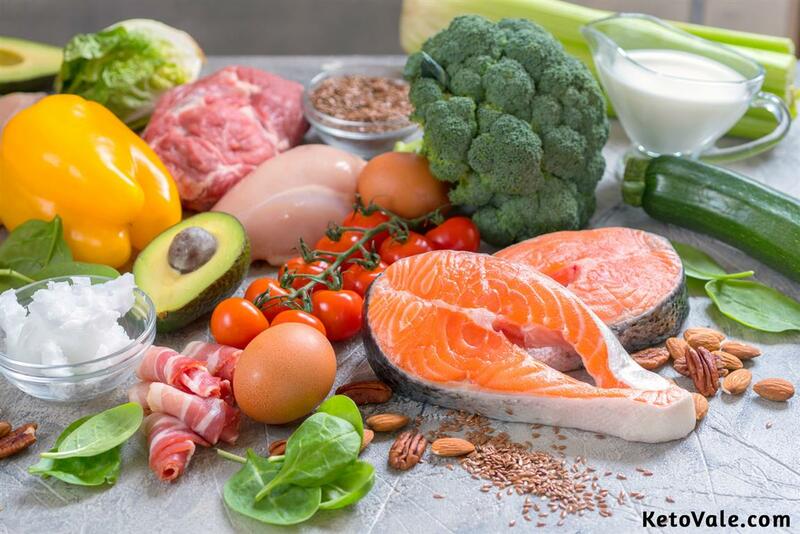 Personal tastes vary, but with all the evidence regarding its benefits, choosing a keto way of life could help you lose weight, be healthier, think clearer, and live longer. It takes a little time to get used to it, though there are many foods you can enjoy, which that will make this diet feel more like a feast. No matter what your age, fitness level, or overall state of health, the keto diet can help you live better. So many people have achieved their fitness and weight loss goals thanks to it. Now it’s your turn to have the dream body you deserve and the vital health you’ve always wanted! 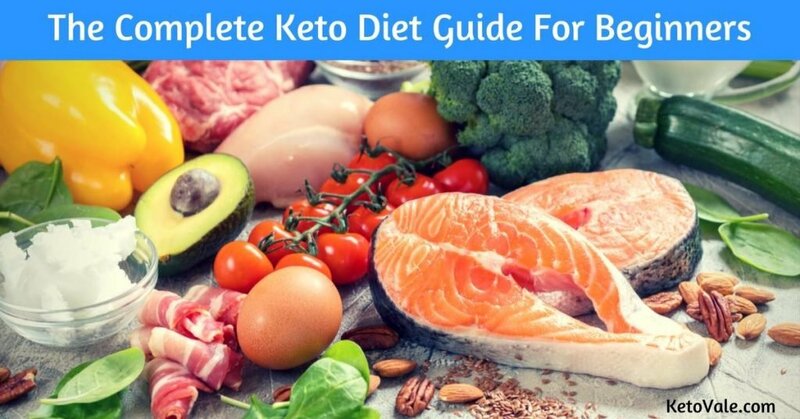 Please feel free to share this guide to your family and friends who are interested in starting the keto diet.